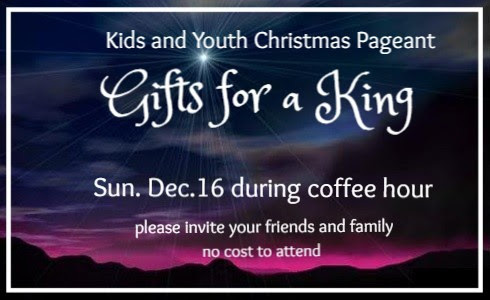 On Sunday Dec.16, the kids and youth of HTAC will be presenting our annual Christmas Pageant, “Gifts for a King” during the coffee hour. This is a special event not to be missed! The pageant is free for all to attend. Here is some more information for families with children who are participating in the pageant.